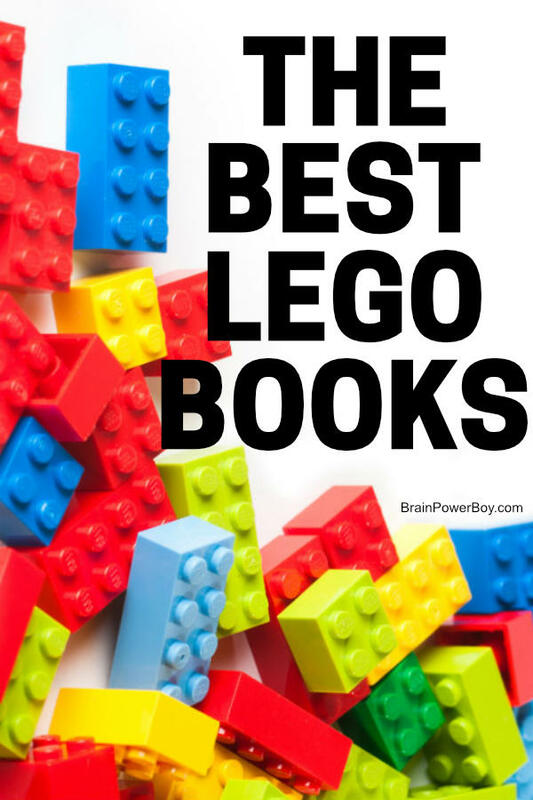 LEGO Books That You Won’t Want to Miss! Over the years we have read so many LEGO books. So. Many! If a new book was coming out we found a way to get it. For some we grabbed them from the library, for others we knew we needed to buy it right away. Most of the ones that we got from the library were put on gift wish lists and eventually purchased. Sometimes I would order a book, have it sent in the mail, and give my son the package when it arrived. It is always fun to get a surprise in the mail. Especially when it involves LEGO! So, since we have so many books, I decided I should write about them (as part of our LEGO section on the site) and let you know which ones we liked the best, which ones are good for specific uses, which have instructions included, and which are simply must have additions to your LEGO book library. I am happy to share the following books with you. I am linking to the books we have covered so far. Since I know for a fact we will be getting more books and we will add them here, do check back to see what is new soon. There are a lot of great titles published for kids to read. There are books to read which characters in LEGO and also minifigs. They are available as readers, fiction and non-fiction. Other books include step-by-step instructions, and basic building guides, which make it a lot easier for kids to build. There are even books that come with their own special edition minifig! Here are some of our favorites. Click through to read the reviews. The LEGO Adventure Book 2 is a comic style book and a building instruction guide. The Cool LEGO books are perfect for young builders. LEGO Space, Building the Future is a story book with building guide. 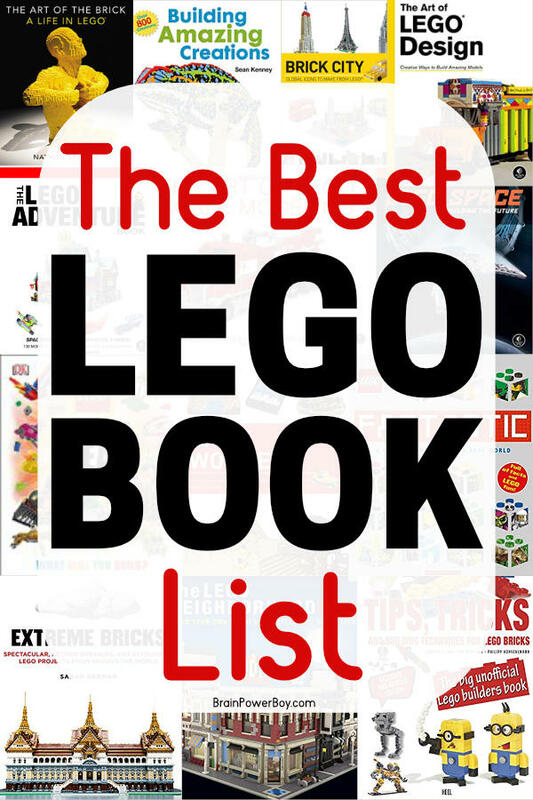 The LEGO Movie book list includes readers and guide books. LEGO Star Wars Build Your Own Adventure includes some bricks and instructions for building. Awesome LEGO Creations with Bricks You Already Have is a book with instructions that gets you being creative using bricks in your collection. LEGO Readers Book Series for Boys has leveled readers. LEGO Non-Fiction: A LEGO Adventure in the Real World cover a variety of interests. Keep scrolling to see even more choices! These are the books that Adult Fans of LEGO (AFOLs) and kids who are a bit older will really enjoy. Younger kids can use, and enjoy these as well, but the content is geared toward adults. What I love about this group of books is that there are great instructional books with step-by-step building guides, as well as, books to read about the artists in LEGO bricks, and books that show the incredible builds, both small and large, made by those in the AFOL community. A good LEGO book can take your building to the next level! Click to read our reviews below. The Art of the Brick is a companion book to the famous exhibit. Brick City has icons made in LEGO from all across the world. Brick Wonders is packed with landmarks and building techniques. Extreme Bricks has biggest and the best LEGO builds. The LEGO Neighborhood Book helps you learn to build buildings. If you are thinking these are outdated so there is no point in looking at them, that would be the wrong way to look at things. There are some really wonderful books in these lists! Here are a few of the latest books published in case you were looking for the newest books out there. I do keep up on what is new as we are always searching for new titles to add to our home library, and to share here! Grab a copy of the updated classic, The LEGO Book and get an exclusive brick! LEGO Star Wars Visual Dictionary – NEW Edition is the latest DK LEGO Visual Dictionary. Brick & Tricks is good for beginners as well as more skilled builders. Best Books for Boys lists. These are packed full of books that boys love. LEGO Designs: Easy and Fun Ideas That Anyone Can Make! Building with LEGO is always fun and we provide some great ideas along with instructions for making them.